PHOTO COURTESY WARNER BROS Ryan Gosling in "Blade Runner 2049." It's difficult to overstate the influence of a film like "Blade Runner," Ridley Scott's classic 1982 science fiction neo-noir. Though it received mixed reviews upon its initial release, the film has risen in esteem over the passing decades, as its impact truly began to be recognized. We have it to thank for every other pop culture vision of a gloomy, dystopian future, and its visual aesthetic is one of the rare examples that deserves to be called "visionary." It redefined a genre while giving rise to a new one (tech-noir), and solidified Scott's place as an icon of science-fiction filmmaking. There's long been rumblings of a possible sequel, and finally after 35 years, "Arrival" director Denis Villeneuve has taken a crack at it. Like its predecessor, the somber and stylish "Blade Runner 2049" emphasizes mood and atmosphere over story, and it even manages to pack some legitimate emotion into its narrative. The result is a fascinating melding of blockbuster filmmaking with an arthouse sensibility. 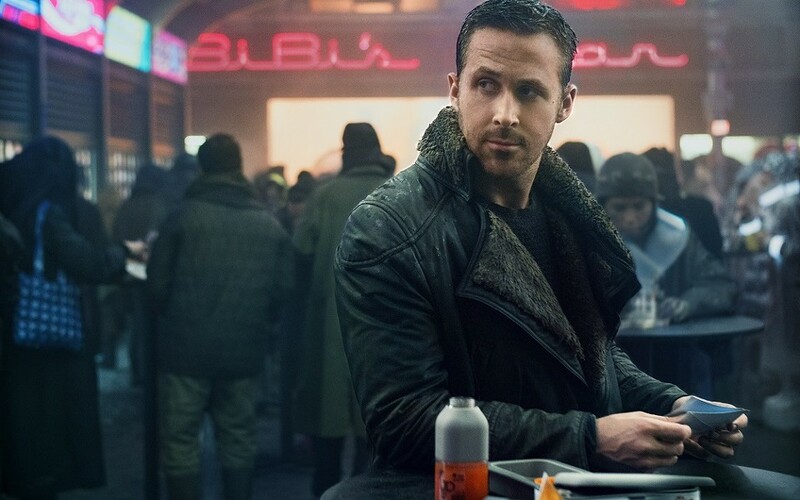 In Los Angeles of 2049, Agent K (an excellent Ryan Gosling) is a blade runner, a police detective trained to identify, hunt down, and "retire" renegade replicants (bioengineered androids virtually indistinguishable from human beings). There's never a question that K is himself a replicant, as the humans he encounters never hesitate to remind him, hurling the epithet "skin job" at him and managing to remind him at every opportunity that they believe he lacks a soul. K's existence is a lonely one, and his sole companion is a holographic girlfriend, Joi (Ana de Armas) whom he dotes on. In the process of tracking down his latest target, a peaceful protein farmer (Dave Bautista, wonderful in a small role), K makes a discovery that has the potential to break down society's already hazy distinction between man and machine. Under orders from his superior (Robin Wright), K pursues the case -- which is connected in some way to the fate of Rick Deckard (Harrison Ford) -- but the investigation soon leads him into an existential crisis, questioning the nature of his own identity. Along the way, K crosses paths with the megalomaniacal Niander Wallace (Jared Leto, in his first performance in a long while that didn't make me want to tear my own eyeballs out), whose Wallace Corporation has succeeded where the original film's Tyrell Corporation failed, and created a line of replicants who obey orders without ever asking questions. Eager to protect his investment, he sends his replicant servant and enforcer Luv (a terrifying Sylvia Hoeks) after K.
"Blade Runner 2049" picks up the themes and ideas from the original -- what makes us human, where does our identity come from, the nature of memory and consciousness -- while messing intriguingly with the established mythology. Its vision of L.A. is still a city of towering skyscrapers and neon lights on rain-slicked streets. But whereas the previous film showed us a world teeming with people, it now seems on the verge of death, as more and more of the population abandon the city in favor of living "off-world." The film is quiet and chilly; moments of humor are few and far between. It maintains the original's deliberate pacing, though its narrative is far more packed with incident, catering to the audience's more modern sensibilities. But Villeneuve brings a sense of stillness that we don't often expect in our modern blockbusters. It's also jaw-droppingly beautiful to look at thanks to the lensing of legendary cinematographer Roger Deakins (doing work here that's deserving of getting him the Oscar that continues to elude him after fourteen nominations). The film's tactile effects and incredible production design, from Dennis Gassner, does a marvelous job of making the setting feel like the same world seen in the original film, 30 years down the line. Benjamin Wallfisch and Hans Zimmer's foreboding score nicely fuses new themes with the familiar synthy sound of Vangelis' work in the original. What's frustrating about "Blade Runner 2049" is that for all the ways it manages to get the most difficult aspects of following up a beloved property right, it stumbles doing what should be the simplest of things in rounding out its world. Its roles for women are a bit of a mixed bag. As intriguing as the female characters are individually (largely because each of the actresses manage to bring out more in them than is explicitly on the page), none of them are given an arc that doesn't center on the men in their lives. It's also more than a little troubling that I can count the number of people of color who apparently exist in this world on one hand. As others have pointed out, it's reflective of mainstream science fiction's tendency to use white, straight male characters as stand-ins for persecuted people while sidelining the actual groups society most often tends to persecute. "Blade Runner 2049" is visually dazzling, thoughtful, and impeccably performed, but when crafting a vision of humanity's future, how hard is it to give its world a population that actually, you know, resembles humanity?